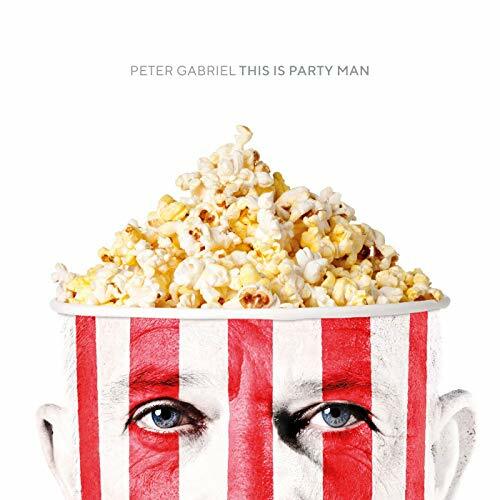 The new album: The Making Of "I/O"
Peter Gabriel: The Making of "I/O"
In the meantime, This Is Party Man was released as a digital single, available on platforms such as iTunes or amazonUK. While we are still waiting for a new album to be announced, Peter has announced that he will be contributing a special release for the Record Store Day 2019 on 13th April. 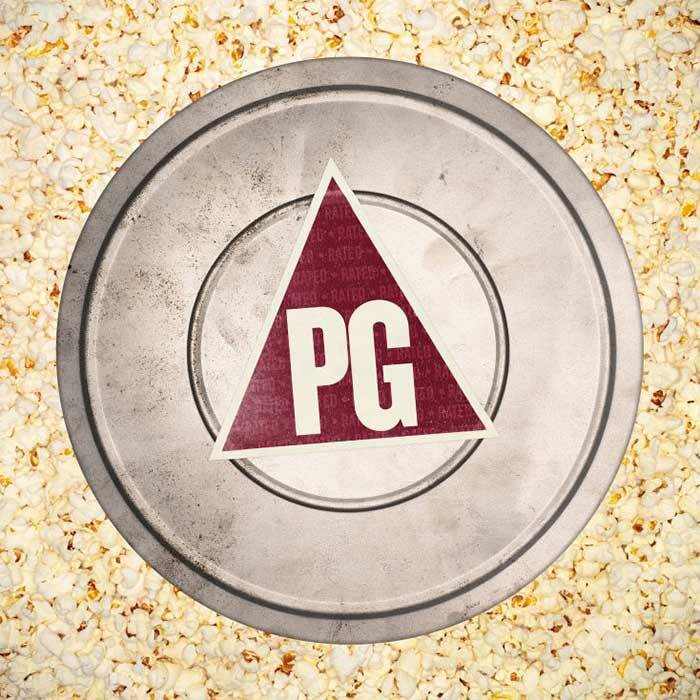 Rated PG is a collection of 10 film songs - some of them are unreleased, some will come in different versions and some of them have been available on soundtracks already. The LP will be a 12" Picture Disc, but obviously Peter will also offer a High Resolution Download. There are no plans for a CD release at this point. Check our Rated PG info page for more info. There are several tracks that were discussed in the past (see right collum), but most of them have most likely been taken off the list over time. Curtains was used for a video game, Courage was released as a digital single, so was I'm Amazing. Bol and Why Don't You Show Yourself were both used for films, but were not released on the soundtracks. These tracks may still be on the list (I Grieve was also on UP, despite its inclusion on the City Of Angels soundtrack years earlier), but we think it's not very realistic to expect them to be included on the new album. Same applies to The Veil and even Down To Earth. So, what do we have? Peter performed Love Can Heal on the Rock Paper Scissors Tour, they also rehearsed the track Rock Paper Scissors and another one, Radio Everyone. All three will most likely be on the album. Another track, Here Comes Love, was revealed by the man himself a few years ago, but that could also be a working title, maybe for Love Can Heal? We don't know. In 2014, Peter spoke about an organic dance record, which would make the inclusion of Love Can Heal less likely, as it is a ballad / slow track. One of the tracks on the rehearsal list of the recent tour, The Veil, will be released digitally tomorrow. The track appears in the movie Snowden but is not part of the soundtrack. It looks like Peter Gabriel has rehearsed four new tracks for the Rock Paper Scissors tour with Sting. The tour programme indicates that besides Love Can Heal, which was played every night, Peter also rehearsed the tracks The Veil, Radio Everywhere and Rock Paper Scissors. All tracks could be possible candidates for I/O - or whatever it will be called. Not only , but who cares? At the moment, there are 20 songs that Peter considers for I/O, he also wants to write further songs after christmas. Also, he'd like to rearrange some of the tracks already written. And when will I/O come out? ... this time it's March - no year has been mentioned. The source for this information is available in German here. He's on tour and so more rumours appear. Further shows are planned for 2014 and some say there will also be a new rock album in 2014. An interesting detail: It looks like Peter is planning to release the So-outtake Courage as a single later this year. And he may have been working on that track as well. Shortly before they start rehearsing for the Back To Front tour 2012, Peter was interviewed by american Rolling Stone magazine. Peter mentiones I/O and confirmes that the title is still there and that it could be still called I/O. Nevertheless, a release has been put back at least until 2014, since Peter will take a year off in 2013. Read the full interview here. Among the possible tracks for the next studio album (maybe called) I/O, Sagrada and Courage have been mentioned and rumoured every now and then. Now we can be sure that they will not be on the album, since they are now part of the So25 Deluxe Boxset (find all information about So25 in our website special here). This also confirms that both tracks have been recorded during the So-sessions. In recent interviews and his most recent Moonclub-Video, Peter confirms that he he is working on new songs (finally) and it looks like yet another creative frame and restrictions he has created. A photo was posted on Twitter from his studio and we can conclude that he is working on something rhythmical. Also, Peter says that he wants to play some new songs during his upcoming Back To Front tour! Peter said after the filming was done for the 3D-Blu-ray in London that he will put the New Blood cycle to rest after the summer shows in North America. After that, Peter wants to concentrate on new songs for his next rock record. Really ? Initially planned as a one off, Peter continues to tour with the New Blood concept. Although he seems willing to work on new songs, he keeps himselft busy with touring. Peter reports via moonclub video from the Air studios where they are putting the finishing touches to Scratch My Back. He insinuated that the album could be released in 2009. At his gig at Charlton Park on July 25 he played The Boy In The Bubble and The Book Of Love, two songs that are supposed to be on Scratch My Back. More information about Scratch My Back here. Gabriel wants to push on his cover album project, which will, according to current information, consist of two albums. One album has other artists cover Gabriel’s songs, while Gabriel covers their songs on the other album. Work on his new album I/O has therefore been put on hold again. 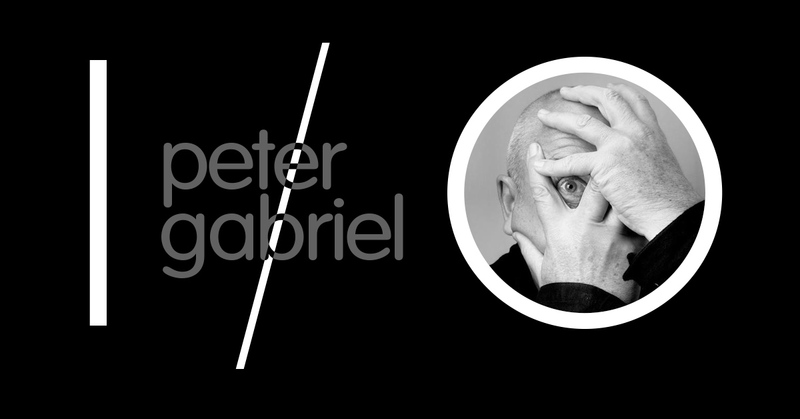 Rumours that Peter Gabriel will play some shows in South America in 2009 have turned out to be true. There are also rumours that he may perform some new songs. Peter presents a new snippet of a song in the current Full Moon Club video (02/07). The soundbite sounds very alternative and ambitious, and by no means minimalistic or like a normal song as one could have surmised judging by previous statements about I/O. The fragment is a new development of the sound. Whether the song will be included in I/O is uncertain; it is unlikely that it will be on Big Blue Ball. According to a report in British magazine Uncut the new Gabriel album, Big Blue Ball or I/O, could be released in North America without the support of a major record company. It seems as if Gabriel wanted to release the album with Ingenious Media. These plans do not cover Europe as Gabriel still has a valid contract with EMI/Virgin there. The Genesis press conference about the small reunion of all things brings the attention back to Peter’s new album. When asked about Peter’s involvement Mike Rutherford explained that Peter did not have the time because he would be releasing a new album in spring and might tour at the same time as Genesis. An album release in spring is to be doubted, though. The online version of the American Billboad magazine reports that EMI will release the 15-year-old project Big Blue Ball this year. In July Gabriel had introduced a song called Whole Thing/Whole World from the project in his Moon Club video. There were no plans for a tour, but Gabriel added that further projects of that style were possible depending on the success of Big Blue Ball. The upshot of this is that I/O is delayed and will be released late in 2007 at the earliest. Update: EMI has confirmed that Big Blue Ball will not be released in 2006. The bonus material of the upcoming DVD Still Growing Up … Live And Unwrapped features No Self Control, filmed at the This Way Up tour. It is a teaser for the DVD version of P.O.V., a film that had been available only on video before. Since Peter once said he planned only one release per year this may have repercussions on the release of I/O. UK magazine Mojo has an article about the current state of the album. Gabriel announces that a new version of Curtains will be recorded for I/O. Further songs include Wild (which is making the rounds as an instrumental), Amazing and Silver Screen. The album will come out “when it is finished, however long that is going to take”, said Peter. He will spend the rest of the year working on I/O. On a promotional appearance for the 46664 gig in Tromso Peter explained that he had not planned any further live performances this year, as he wants to focus on his new studio album I/O. During the work on his new album a fire broke out in the RealWorld studios and interrupted the work process. Peter announced this in his current Full Moon Club video (available on Peter Gabriel’s homepage). Peter is honored with the Music Industry Trust Award. Guests at the ceremony included Tony Banks, Mike Rutherford and Richard Macphail. A promo double CD set was given out to the guests. One was a Gabriel CD and the other a Music Inspiration CD. The former includes a new recording of Curtains; it is rumoured that Gabriel has recorded a (this?) new version for I/O. Peter premiered the new song Baby Man in Budapest. Baby Man is likely to be on I/O. After this, Baby Man was also played in Karlsruhe, Zurich, Brussels, Sheffield, Newcastle, Glasgow, London and Bregenz. Part of it can also be heard during the final credits of Anna Gabriel’s DVD A Family Portrait. A rare promo called HIT – The Instrumentals has come into circulation to promote the greatest hits compilation HIT. One piece on the promo is a new song called Wild that is apparently considered for I/O (with vocals). The promo itself was given out for the music to be used as background music in radio and TV programmes. A new greatest hits compilation has been announced. The compilation called HIT will contain a new version of Burn You Up, Burn You Down; in the UK the song will also be released as a single. This more or less strikes Burn You Up Burn You Down off the list of songs for I/O. The Wild Thornberrys soundtrack has been released in North America. Besides a new version of Shaking The Tree there is also a completely new song on the CD. Animal Nation was a candidate for Up, it was played live on the Growing Up tours in North America 2002 and Europe 2003, and it is a hot candidate for I/O. Peter Gabriel has held a press conference at the Könixxtreffen in Munich, Germany, which was also about his upcoming album Up. Peter stated that he has enough material for two albums and that the successor, I/O, will come out 18 months after Up, depending on his tour plans. Burn You Up Burn You Down was withdrawn from Up in a last-minute decision. It is now considered a candidate for I/O. Peter Gabriel mentions during a promotion date for OVO that there could be another studio album besides Up because he has enough material for two albums. A couple of weeks later he even mentions several albums that could be released soon after Up. Over the last couple of years, some tracks have been mentioned or rumourd as possible candidates for I/O. Some of them have already been released in other versions. The following tracks MAY appear or may not appear on I/O.